Regina Tchelly, 36, was born in Serraria, a city in the countryside of Paraíba (a state in northeast Brazil). She is the second of three sisters and a brother and has been an entrepreneur since she was young. At 7, she used to make money, hidden from her mother, by taking neighborhood children to school and bringing them back home. At the age of 12, seeking financial independence, she became a manicurist. Three years later, she went with her boyfriend to João Pessoa (the capital of the state of Paraíba), where she worked as a maid. 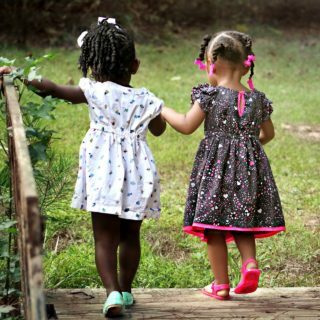 When her first daughter was born, having one more person in the household meant more expenses. When her daughter was three, to provide a better future for her family, Tchelly left the little girl with her grandmother and went to Rio de Janeiro by herself. Tchelly was only 20 at that time. More than the natural beauty, what impressed the young woman from the northeast was the huge quantity of food discarded by the street fairs in Rio. “I asked a street market vendor why there was so much food thrown away,” she says. “He told me that not even the pigs would eat it. A terrible thing.” Indeed, according to the Food Loss and Waste organization, although one in nine people on the planet suffer from malnutrition, more than 1 billion tons of food are discarded every year. This waste amounts to losses of more than US $940 billion dollars worldwide. 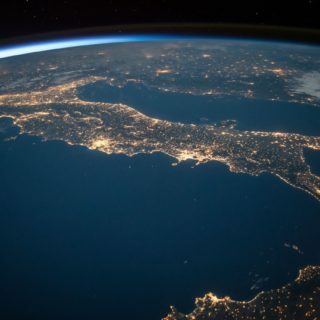 In Latin America, the main contributors to this problem, according to the World Resources Institute, are producers and end consumers, together wasting 56 percent of the total food supply. Tchelly grew up watching her grandmother and mother planting, harvesting and cooking, so she learned how to make the most of what the land provides. She began collecting what the street fair vendors discarded, and testing recipes at home. 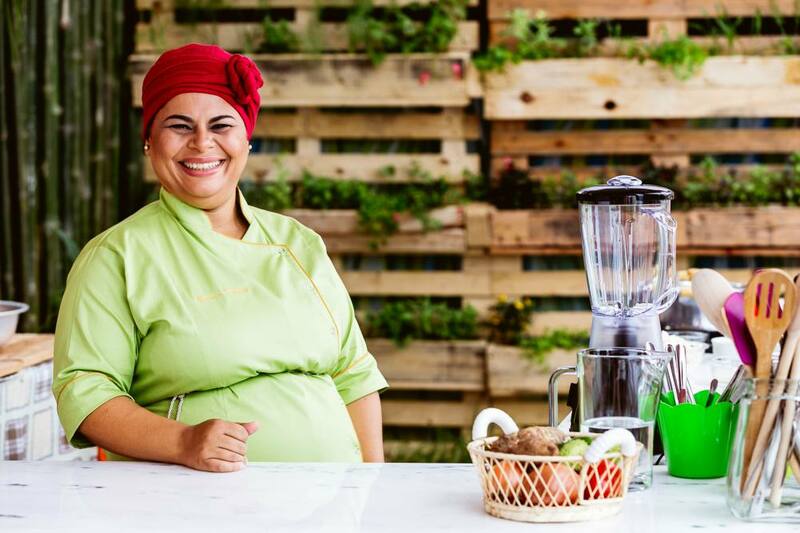 She attended a cooking course at one of the most famous technical schools in Brazil, but realized that traditional professionalization was not for her. 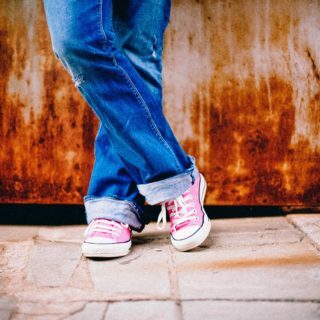 “I wanted something more affective, something more connected to the old days,” she says. 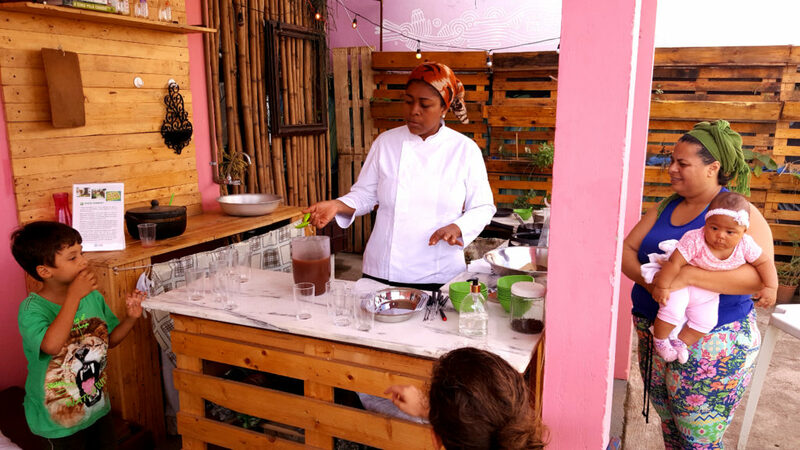 In order to help people change their relationship with food, Tchelly found a way, working around her maid’s schedule, and in 2011 created Favela Orgânica, a project dedicated to organizing workshops and lectures on topics such as conscious consumption, alternative gastronomy, vegetable gardens and home compost. The initiative was honored by Agência de Redes para a Juventude (part of Rio’s Municipal Secretariat of Culture) which focuses on young people from poor communities with ideas that can change cities. The award included consultation, and a grant for the development and execution of ideas. Her work with Favela Orgânica has allowed Tchelly to travel around Brazil and to visit Uruguay, France and Italy. She has become the hostess of Amor de Cozinha (Love in the Kitchen) program, on Futura Channel (a Brazilian broadcast) and also available on the Internet. 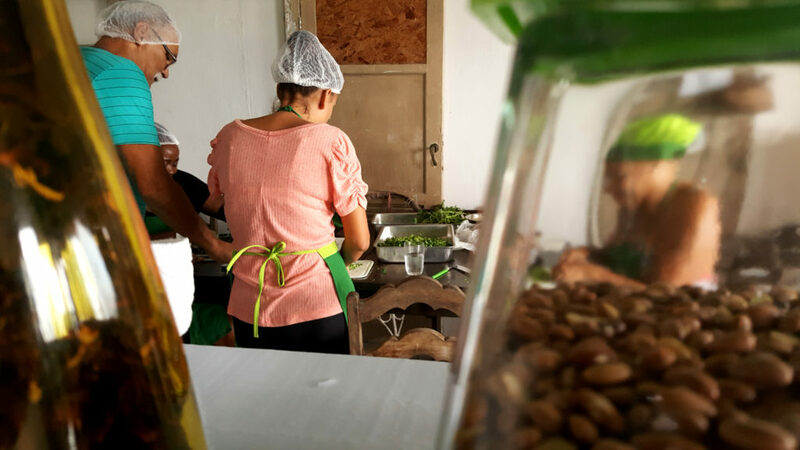 Today, the heart of the project is the alternative gastronomy workshop, which is usually made possible by donations from producers and street market partners of Favela Orgânica. During the workshop, Tchelly teaches participants how to use the stalks, leaves and seeds of vegetables. Some are blindfolded and challenged to identify foods by smell, touch, and taste. The first of these classes involved six mothers from Morro da Babilônia, a favela in southern Rio de Janeiro, where Regina has lived for 15 years. The ingredients were watermelon peel, leftover rice and some seasonings brought by the participants. The project worked so well that the encore attracted ten people simply by word of mouth. “In the fourth workshop, there were forty students, with people from France, England and Japan,” says the cook, who announces these events on social media. In favelas like Chapéu Mangueira, or Morro da Babilônia, where Favela Orgânica’s has been headquartered since August, activities are offered free of charge by a team of twelve workers. For other publics, Favela Orgânica charges enough money to enable Tchelly to maintain the project and support her three daughters. 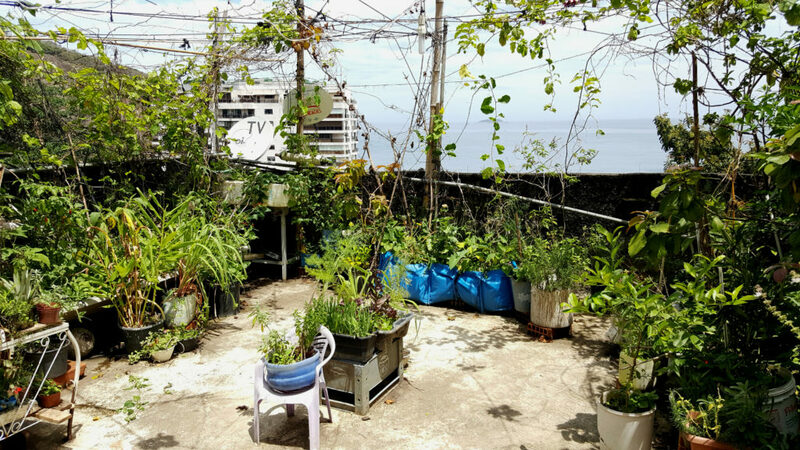 Thinking about the future, Regina wants to use Favela Organica‘s headquarters for regular and varied programming open to the public. On Saturdays, there are poetry presentations, an open market, classes and dance performances. Visitors can also taste a variety of dishes prepared by the cook and her collaborators. 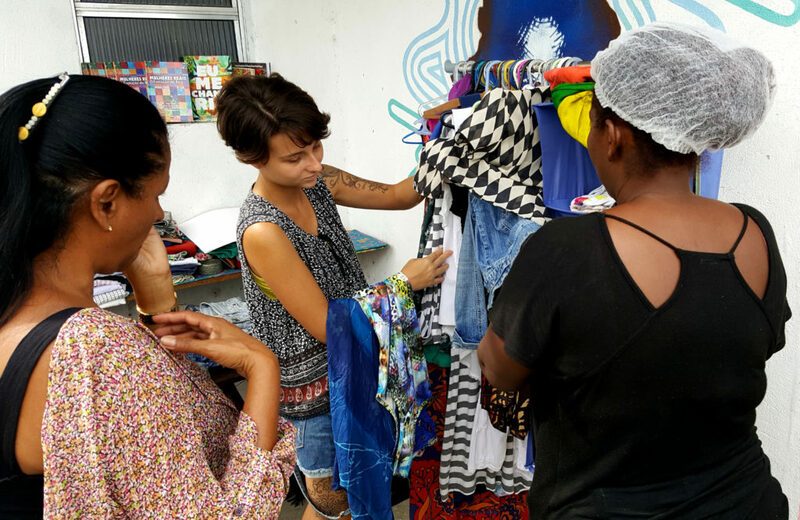 The fashion designer Patrícia Sant’Ana has bought items from Favela Organica‘s thrift shop and led workshops on clothing and accessories there. “The way we consume clothing and food needs to be changed to ensure that everyone can have a healthy life,” she says.